One of the major challenges for wheat production is climate change, especially in Asia and Africa. Climate change would reduce wheat yield by 20 to 25% in South Asia if temperature increases by more than 2oC. Approximately 30 million ha of wheat area are vulnerable to climate change in Asia and Africa. Climate extremes require responsive cultivars with tolerance to initial and terminal heat and drought (reduced vulnerability) supported by mitigating measures from improved agronomic practices. 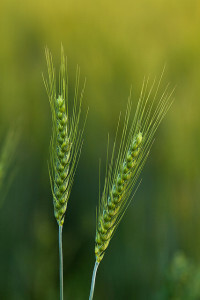 Therefore, breeding for increased heat tolerance could maintain the current wheat growing areas in vulnerable regions. Wheat area expansion is possible in areas where heat is not an issue i.e. where currently cold is a problem (such as in high latitude), in the ‘S-Cone’ of Latin America, mainly Argentina and the Black Sea/Caspian Sea. Climate change will reduce suitability of wheat production in low latitude growing regions, i.e. developing countries, and therefore will affect yield. 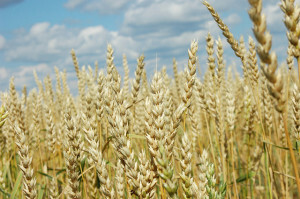 Price of wheat is also expected to increase by 200 to 250% if production is not increased to meet population growth, increased demand due to income growth, and demand for biofuels for maize which will reduce the area under wheat At present, wheat productivity gains in farmers fields are at 1% or slightly below, but need to increase to 2% per annum. Productivity is usually affected by water shortage, lack of available fertilizer, extreme temperature, and biotic stresses and diseases. CIMMYT along with its international and national partners develop robust high yielding, high quality bread and durum wheat varieties with 1% per annum growth rate in wheat productivity. Current research aims to develop lines with 10% higher yield potential by 2020 and 50% increased yield capacity by 2050. Wheat with lodging resistance of up to 20%. CIMMYT has also developed hybrid wheat with 15% higher yield potential and will be released with competitive prices.